Earth Day, the world’s largest environmental celebration, occurs on April 22nd each year. Around this time of year, with heightened awareness about environmental issues, people often consider making the switch from conventional to renewable energy sources. One of the most frequent questions we are asked is how to accurately compare power rates for conventional and renewable energy. Keep reading to learn more about the benefits and costs of renewable energy compared to conventional, and decide which choice is right for you. Renewable energy is defined as energy that comes from a source that cannot be depleted. The demand for more environmentally-friendly sources of energy has increased significantly in the last decade as improvements have been made in the technology and availability of renewable energy sources for residential customers. Researchers continue to work to make Biomass and Geothermal power available to the general public, but for now the most readily available forms of renewable energy in the United States are wind power and solar power. It is inexpensive. Wind is one of the lowest cost energy sources available today. Depending on the source, wind power is generally around 7 cents per kilowatt-hour. It’s also important to note that, unlike conventional energy rates which tend to fluctuate, wind energy is sold at a fixed price over a long period of time, so prices tend to remain fairly consistent. The American Wind Energy Association predicts that rates for wind energy will likely continue to fall with continued improvements in technology. It does does not pollute the air. Wind power does not produce greenhouse gas emissions which are harmful to the environment. It is a truly sustainable source of energy. As long as the wind blows on the earth, wind power can be harnessed and generated. It benefits the economy. Wind power has created jobs in rural communities throughout the United States, and since wind is a renewable form of energy it’s likely that these jobs will be maintained. It is truly renewable. 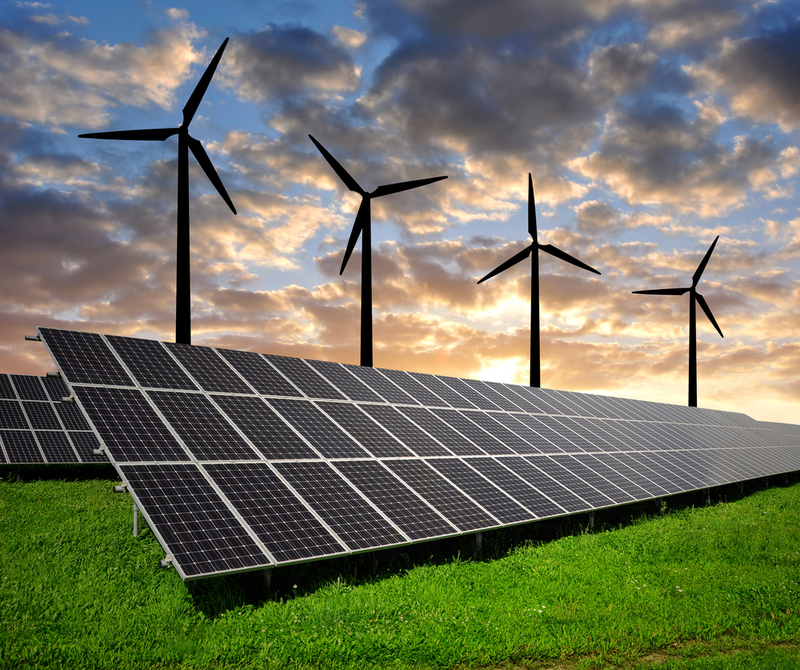 As with wind energy, solar power is a truly renewable source of energy. As long as the sun shines, its power can be harnessed and turned into energy. It is diverse. Solar power can be used to generate both as heat and as electricity. It has long-term financial benefits. 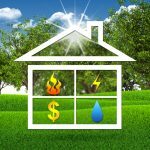 Once the solar panels are installed, you will benefit from more efficient heating and cooling of your home and may also qualify for certain tax breaks. Installing solar panels can also increase the value of your home. Many utilities offer renewable energy plan options that may be sourced from a hybrid combination of clean energy sources. For example, PointClickSwitch customers in Maryland and the District of Columbia have an opportunity to switch to 100% renewable energy through Constellation Energy for under 8 cents per kWh depending on the contract length. To find out if renewable energy might be the right option for you, use our comparison tool to compare power rates. Just refer to the green leaf symbol to choose the level of renewable energy associated with each plan.